Dexterity, Flex, Condition will change. The TaylorMade M2 D-Type driver was created with a multi-material design of titanium and carbon composite to allow for maximum distance, and it includes added weight in the heel to encourage a Right-to-Left flight path to combat slices. The all-new 6-layer carbon crown and 9-1-1 skeletal titanium body frees up weight and increases clubhead speeds. Combined with an extremely low center of gravity, the M2 D-Type driver has more distance than ever before. With externalized sound ribs optimized for clubhead vibration, the GEOCOUSTIC technology gives the M2 an exceptional sound and feel. The M2 D-Type also features a deeper, more active (3-times more active!) Speed Pocket for high launch/low spin shots for added distance. The lightweight, aluminum loft sleeve allows for 4° of loft movement for added personalization. Difference between the m2 d type and the m2 2017? The M2 Dtype has weight distributed more toward the heel of the club as well as a more draw biased club face that helps to promote a draw flight or eliminate a slice. currently playing a Rocketbalz 9.5 driver, fading the ball. Will this club help eliminate? This club does have weight moved toward the hosel to help alleviate a slice. Are all these M2-D model drivers 2017 version? Yes, there was not an M2-D Type in 2016. Does this require a different wrench to adjust loft or will the one that came with my R1 work? The same wrench will work. Used clubs will not come with the tool New ones will. It does what it was designed to do. Traditionally play a fade. With this club I was swinging for the fence and still hitting a draw which is unheard of for me. Give it a whack if you struggle with the fade/slice. I went from an older Callaway driver (10+ years old) so needless to say any new driver technology would have probably resulted in some distance gains, but this thing really performed beyond expectations. I'm a 20+ handicap and even I can hit this thing a long ways. Went from averaging around 200-210 with the Callaway to around 240-250. Still have some work to do to fix my swing with it (tendency to fade/slice), but when I hit it well it goes a mile. Even mishits make their way much past solid hits with my old driver. From a strictly aesthetic note, I think the club looks, feels, and sounds very pleasing even on off center hits. the &quot;D&quot; type really works. I've gone from center to a slice, to center to a draw. The biggest + is the consistency and predictability. I can actually call my drives!! Also great Taylor Made quality. Great driver if your fighting for a slice, straight and forgiving. Awesome distance and straightens out my ball fight to a controlled fade. 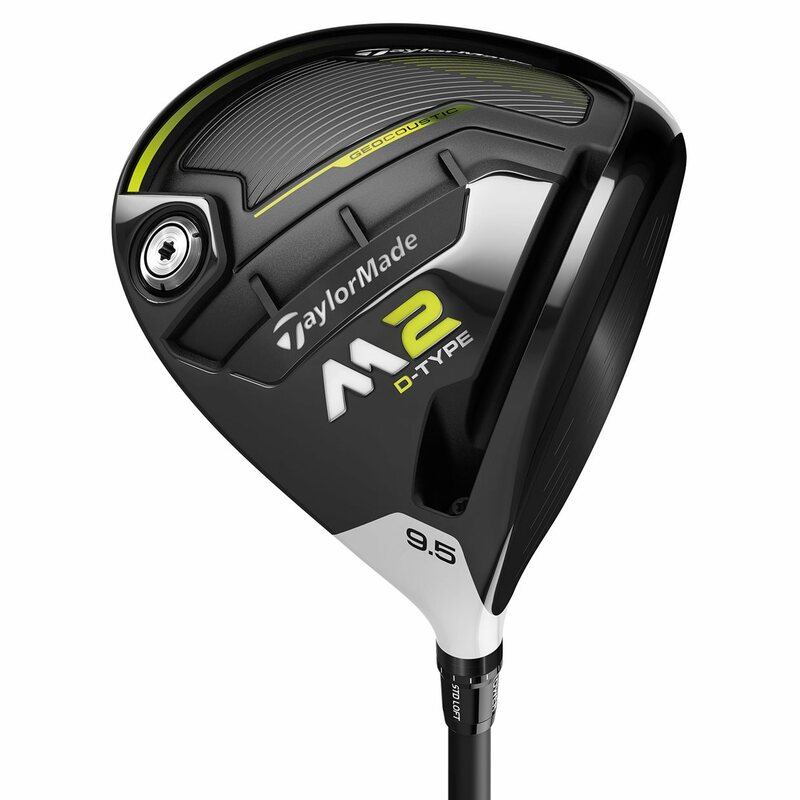 New to the TaylorMade M Family is the TaylorMade 2017 M2 D-Type driver. It is the draw-biased version of the 2017 M2 driver. Weight is placed more towards the heel of the club and there is more offset compared to the 2017 M2 driver. This helps produce an average of 12 yards of draw, according to TaylorMade. It has the same, new loft sleeve as the other new drivers. The Matrix OZIK MFS X5 is the stock shaft as well. Available lofts are 9.5, 10.5, and 12 degrees. Left-hand options are available for all but the 12 degree driver. 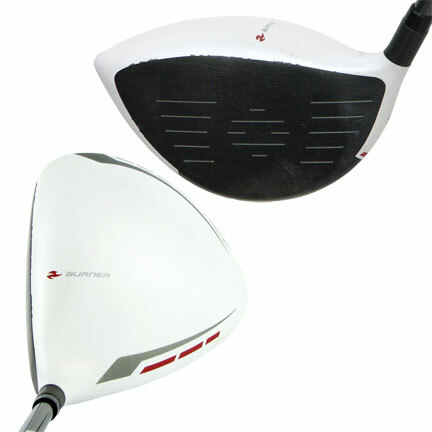 We give more details on the TaylorMade D-Type driver here.